Posted July 20th, 2018 by Matt Doll. This week, the Office of Administrative Hearings held comment sessions in Farmington, Stewartville, and Worthington on the MN Department of Agriculture’s proposed Groundwater Protection Rule. They will also host two hearings next week in St. Cloud (July 25) and Park Rapids (July 26), and will accept written comments through August 15. The MDA has been revising the rule since its initial draft in June 2017, but protection of Minnesota’s groundwater has been much longer in the making: this rule represents a first step in finally implementing important parts of Minnesota’s 1989 Groundwater Protection Act. It has been developed and revised using scientific analysis, many hours of testimony, and thousands of public comments already. The rule is now entering a critical stage of further public input, and what emerges could be a step forward in protecting the drinking water and health and well-being of thousands of Minnesotans. Though political disputes have arisen over the rulemaking, there’s no question that Minnesota is facing a growing health crisis from nitrates in groundwater. More than 50 community water systems serving more than 200,000 Minnesotans are dealing with the costly and complicated challenge of keeping nitrates out of residents’ drinking water. And many the 1 in 4 Minnesotans who rely on private wells often have no choice but to shell out tens of thousands of dollars on drilling new wells when existing sources become contaminated. Nitrate consumption by infants and pregnant women can cause blue baby syndrome, and it has been linked to certain cancers in adults. One way or another, Minnesotans end up paying the cost of nitrates in the water. Though nitrates leech into groundwater from multiple sources, use of nitrogen fertilizer is the primary cause of Minnesota’s problem. In last week’s article, we discussed how innovative new perennial and cover crop systems have the potential to help eliminate nitrate contamination of underground and surface waters. But with contamination costs already mounting, Minnesota needs a workable, science-based framework for controlling how much nitrogen runs off of cropland in the first place. This rule sets up a framework to modestly reduce nitrate runoff in areas that are especially vulnerable to groundwater contamination. It restricts fertilizer application in the fall and winter on the 12.6% of Minnesota cropland that lies within these areas. It also promotes voluntary best management practices that target nitrates in at-risk community wellhead protection areas. Stronger and more effective measures could also be required at a future date under the rule. Setting up a framework to tackle the roots of this problem is much needed and should not be delayed – but this rule leaves significant loopholes. It works slowly, takes limited action, and does little to protect most of the thousands of Minnesotans who depend on private wells. It’s an important first step, but needs improvement – and the MDA needs to hear it from Minnesotans. If you want to make your voice heard on groundwater protection in Minnesota, we encourage you to submit your comments online, or attend a hearing in St. Cloud or Park Rapids next week. 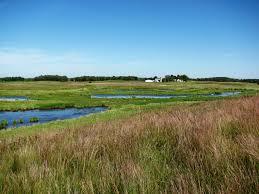 Minnesota can’t afford the high cost of nitrate pollution. Almost three decades have passed since the passage of the Groundwater Protection Act, and Minnesotans don’t deserve any more delays in action to ensure safe drinking water for all of us. Water if getting more and more contaminated every year. Westport township in pope county probably some of the most contaminated in the entire state of Minnesota. This township is saturated with swine barns,cattle and massive crop irrigation. All of witch are on the most sensitive aquifers in the entire county. Test Wells in Westport township have some of the highest nitrate levels in Minnesota. We most definitely need something done. Our water connot continue to be contaminated to the point of causing illnes or even death. There must be some kind of controls on these practices that are obviously causing the problems. All plants can grow WITHOUT the use of chemical based fertilizers! Please outlaw all fertilizers, both agricultural & residential. Drinkable water is far more important than squeaking a bit more growth out of a plant. It worked without fertilizer for hundreds of years. Let’s get back to the basics. Thank you.